Neil "Inch" Chaken was a very popular young man who had everything until his life fell apart. He lost his job, his parents got divorced, and his girlfriend left him. Shortly afterwards Inch ran into Gianni Romero, a friend from high school, at a bar. Gianni offered Inch a job selling drugs for him in his shady gang. Figuring he had nothing left to loose Inch accepted. One night Inch over heard Gianni and the Fallen celestial, Azazel, having a conversation in their storehouse. After their conversation Inch witnessed Azazel possessing Gianni. Frightened Inch tried to run, but tripped, making a noise, and was discovered by the Fallen Celestial demon. Inch realized he got in way to deep, and tried to get out. Unfortunately for Inch there is only one way out. Azazel tracked him down and possessed Inch’s body and forced him to commit suicide in his own home. For years Inch floated through purgatory until he was given a second chance. 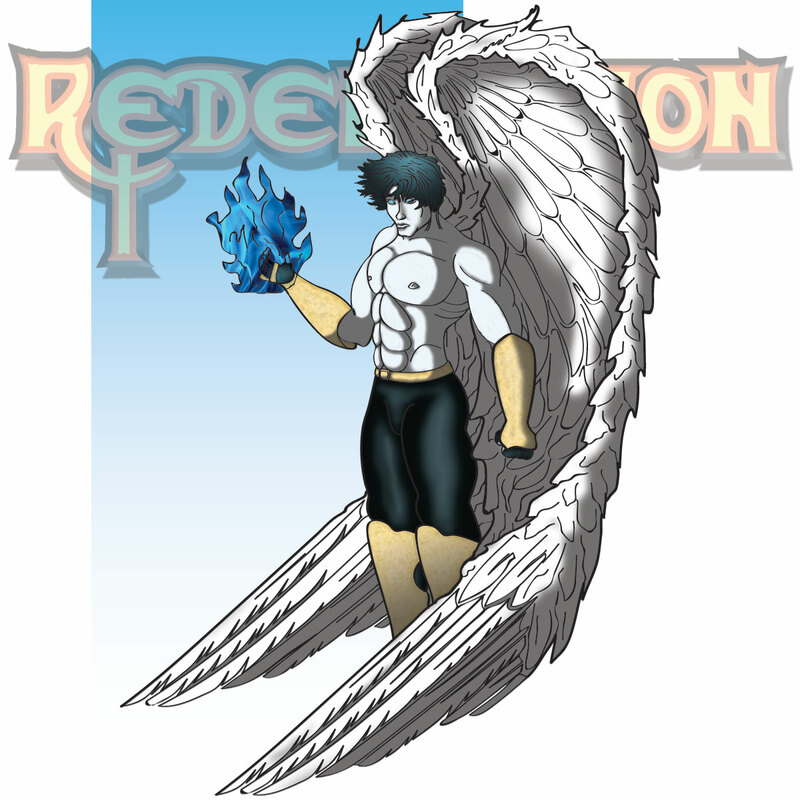 Inch has been remade into a dark angel inorder to put the fear of God back into the hearts of sinners. As a Seraphim Enforcer, he fights Fallen Celestials and other evils that plague mankind. Inch is Earth’s new guardian angel, Redemption.